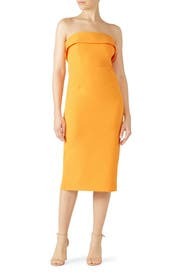 A strapless, fold-over neckline brings a sophisticated update to this eye-catching sheath dress by BARDOT. 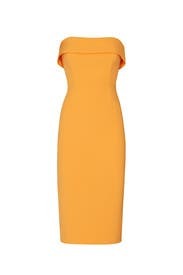 Orange stretch crepe (95% Polyester, 5% Elastane). Sheath. Strapless. 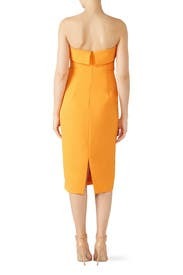 Straight neckline. Hidden back zipper closure. Fully lined. 38" from shoulder to hemline, 8.5" Slit. Imported. This dress is a compliment magnet! 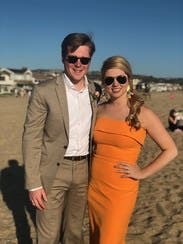 I wore it to a beach wedding in California and it was quite the hit. It's very figure flattering and great if you have a full bust, I'm always trying to hide mine and it did the trick. I sized up so that it would lay more smoothly. Gorgeous color and fit like a glove! I received so many compliments on this dress! 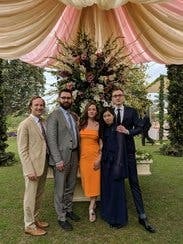 Wore this to a wedding in Pakistan! Color was perfect for the event. I had to size down so the dress would stay up and look fitted. Fit great, felt great.